The treatments are carried out in relaxing beauty room in Sloane square Mobile treatments are also available in the South west or in Chelmsford. Essex Prices may change. All of my facials are entirely bespoke as the skin can change with internal & external influences. I use a mixture of science and nature and each treatment is tailor made to the clients skin. I use and recommend Environ products as well as my own home made organic products in my treatments. I treat all skin conditions including: acne, scarring, pigmentation, open pores, sensitive and ageing skin. Facial includes a cleanse, a skin peel wash, deep pore extractions (without leaving the skin red or sore), hydrating seaweed masque, muscle work massage (natural massage facelift). Neck and arm massage Ending with a cold stone massage. This facial is ideal if you have a party/event or limited with time and want a quick pick me up. 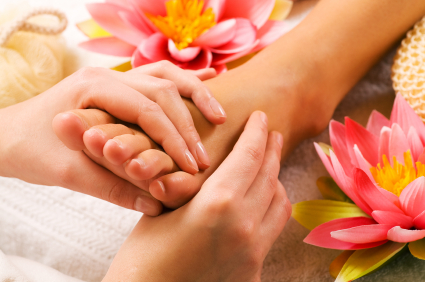 The lymphatic massage helps plump up the skin helps with puffiness, dark circles under the eyes. 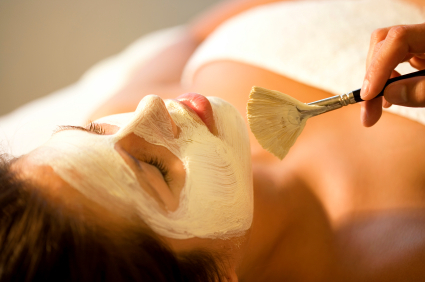 Includes: cleanse, exfoliation treatment and lymphatic massage. After the peel a cooling mask is applied and spf. This peel has no down time and you will leave the salon looking fresh and glowing. A course of 4 treatments is recommended for treating a specific concern . But you will get nice glowing skin with just one treatment. Buy a course of 4 and recieve a free milk peel. Using a Latic acid peel. Effects of cool peel: smooths wrinkles, lines. improve natural moisturising factors of the skin. reduce and prevent breakouts, lighten superficial pigmentation, reduces redness and scarring These are designed for exfoliating the top layers of skin improving cell regeneration. Great for acne, scarring, pitting, pigmentation, sun damaged, dry thick skin and open pores. Includes: Cleanse, Lacm cool peel 25%, Seaweed cooling masque. This facial is a great way to get a natural lift and to de-puff the face. It uses pressure points in the feet, back, chest and face which help unblock and tension. Then with lymphatic drainage which is a great combination helps drain away toxins. Using a galvanic machine to help penetrate vitamins & antioxidents with nourishing and anti aging ingredients to the lower layers of the skin from the Environ products into the skin. This can help a variety of skin conditions such as; acne, pigmentation, scarring and aging. Prices vary as to the level of environ the client is using. The higher the level the more active ingredients can be used. Powerful therapy to encourage the body to begin to heal itself . Colour therapy uses coloured lights to rejuvenate, stimulate & activate or calm & decongest the skin and muscles. The led produces a diffused and uniform light that penetrates deeply without damaging the tissue. Cell energy production is increased therefore enabling the cell to absorb active ingredients in the products. Yellow: Warms and tones the skin, promotes production of new collagen anti ageing and lifts mood. Includes diamond peel exfoliation treatment, Galvanic treatment penetrating healing products to the lower layers of the skin , Extractions, LED Blue and Red therapy to calm any sensitive skin as well as killing any bacteria. Using a micro current working on areas to tone and lift the underlying muscles while using a Galvanic current to penetrate active serums into the skin , Leaving the skin hydrated and plump. Includes Diamond peel, mild skin peel, A cocktail of vitamin serums such as hylaronic acid can be penetrated into the skin using a galvanic current, Microcurrent is used to lift and tighten the muscles also working extra on any specific areas of concen. Courses are recommended for the toning treatments to get the best results, the current re programmes the brain after 10 treatments and ideally have at least 2 treatments per week, discounts are available on course. If you would like to treat a friend or family member you can Buy Gift Vouchers through paypal. We can also design a voucher which we can post or email if you would like to buy them a treatment. Hello there! Do you know if they make any plugins to help with SEO? I’m trying to get my blog to rank for some targeted keywords but I’m not seeing very good results. If you know of any please share. Thanks! I just want to mention I’m very new to weblog and seriously liked your blog site. Most likely I’m likely to bookmark your site . You absolutely have superb posts. Appreciate it for sharing your web site. Superb tip. I appreciate you for writing this. I’ll definitely come again to see what’s new and notify my friends about your site. I simply want to mention I am just newbie to blogs and absolutely enjoyed you’re blog. More than likely I’m going to bookmark your blog . You certainly come with really good writings. Cheers for revealing your web site. I just want to tell you that I am just all new to blogs and honestly loved your blog. Likely I’m planning to bookmark your site . You surely come with wonderful posts. Cheers for sharing with us your blog. It’s really a good and helpful piece of information. I’m happy that you simply shared this useful information with us. Please keep us up to date such as this. Thanks for sharing. You can follow my blog which will email you each time I post a new blog. On the right hand side of the home page you will find the follow button. This is my first time to leave message on your blog. I ralely like you and admire your talent. It is known that your presentation and analytical skills are excellent. Hope I can learn some from you and improve my weaknesses. Enjoy your life and I will always support you! Probably the best piece I actually studied!